In order to travel safely, police officers of Mureş County Police Inspectorate issued a recommendation to all those in traffic, no matter if they are drivers, pedestrians or cyclists. “Drive at speeds that are suited to traffic conditions, especially when driving around the road and do not forget about traffic. Also, for added safety, on the go, increase the distance between vehicles. Drive cautiously, without overriding the vehicle controls, make sure before each maneuver is done. Observe legal speed! 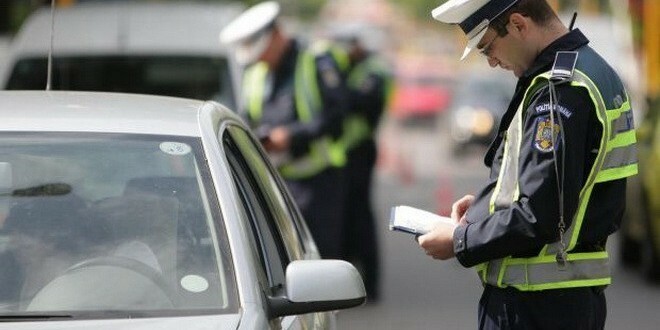 Traffic police officers recall that the excessive speed and the inadequate weather, road or traffic conditions are the main driving factor in road accidents in Romania. Bicycle Recommendations “Before changing the direction of travel, especially to the left or overrun, make sure that there is no vehicle approaching – front and rear! Move as close as possible to the right edge of the road, and when moving in a group, one column only! Do not ride a bicycle under the influence of alcoholic beverages! Do not carry another person on a bicycle! It is advisable to wear an approved helmet! To run on the public road, the bicycle must be properly equipped (effective braking device, audible warning device, white or yellow light in front, red backlight and at least one reflective element of the same color)! Before you ride your bike on priority arteries, reduce speed, make sure and give priority to the right! Recommendations for motorcyclists “Keep eye contact – do not assume that others see you. Always try to have visual contact with the drivers that might be intersecting your trajectory. Anticipate the intentions of your roadmates – even when drivers, cyclists, and pedestrians see you are approaching, they often mistakenly appreciate the distance or speed. Do not rely solely on their good reaction. Increase attention to turns and intersections – the most common type of motorcycle crash is generated by drivers who do not ensure that left turns are turned or that the lane changes. Make yourself in the mirror when you turn – the drivers that come up may not slow down for you. Approach curves with moderate speed without cutting them – many accidents happen because of the opposite direction. Use an approved helmet – which meets current safety standards. Avoid buying a used helmet, you may have suffered an accident, and repair can hide structural flaws. Wear protective clothing for motorcyclists – only this can provide good protection during an accident and protects you from the weather. Modular “layered” equipment is recommended so you can adapt it to the changing weather conditions.